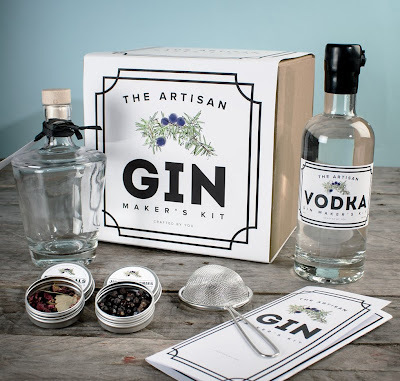 The Artisan Gin Maker's Kit is very likely to be my gift of choice for the next few months. Birthdays, housewarmings, sorry I accidentally tore your favourite dress that you were kind enough to let me borrow presents. All of these present-giving opportunities can be covered by a gin making kit. 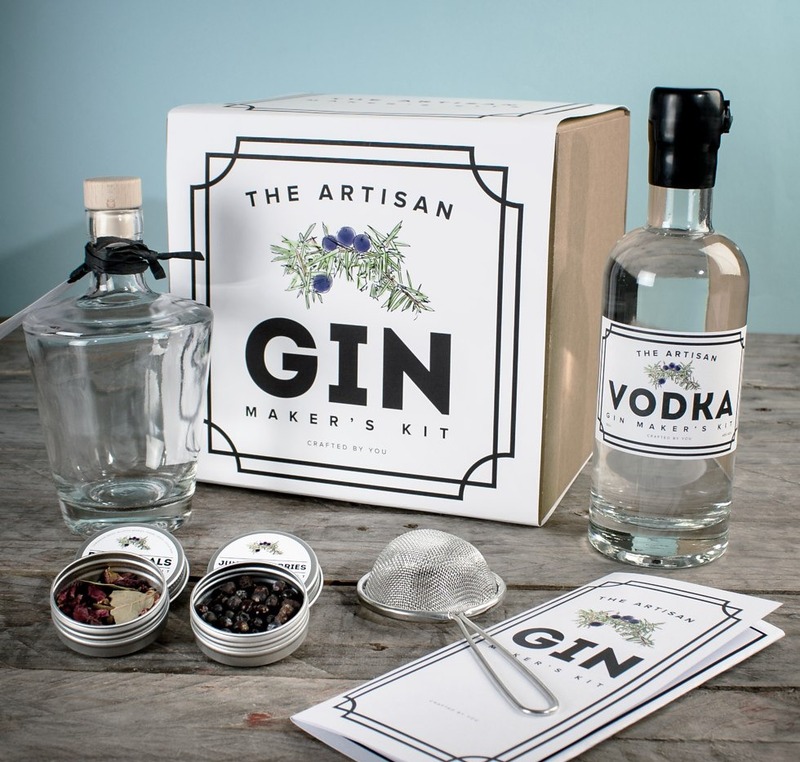 Unusually, this gin kit uses vodka (supplied in a 500ml bottle, brilliant). And you get all of the juniper and botanicals that you need to start you off, as well as a lovely bottle for storing your gin when you're finished making. Now I'll be honest, I'm not sure of the exact technicalities of magically turning vodka into gin (although I certainly approve of the principal itself). It sounds a little like turning dull and boring water into tasty and fabulous wine. I can get on board with that. The kits are £59.99 from Firebox. Yes, you absolutely could buy all of the little bits and make your own kit for cheaper. But you probably won't. And once you've got the hang of it, you can have a bash yourself and start making all sorts of flavours (no, not coconut). Maybe it's time to open a Domestic Sluttery bar. This looks like a great gift, especially for a male friend in your life. It's always nice when it's all ready to go in a kit. Perfect! No, not for the men in my life, just for me! Hahaha, fair enough! I just never know what to get him, so I was excited when I saw something he'd like. I love this, I may need to write several comment beneath this one to express how much I really love this. We would like to try Nick Smith gin. Please call it Ginicism. I bought one of these for my hubby recently. The gin is awesome and I recommed adding a teaspoon of Earl Grey to the mixture! Is it really really simple, Vida? It is sooooo simply. Chuck in the berries and leave overnight. The next day add the botanicals, shake and leave for another day I think. Strain into the bottle provided and Voila! It really is good. Oh and we manages to get another batch from the botanicals... it wasn't as stong as the first but was still very very yummy.